Mount Disney’s legendary elephant for an unforgettable flight on this classic attraction. Shopping: Assorted souvenirs, many pertaining to Dumbo (1940) and circuses, can be purchased nearby at “Big Top Souvenirs.” Sunscreen is sold nearby at the “Casey Jr. Railroad Mercantile” cart. Dining/Refreshment: Inside “Big Top Souvenirs,” Big Top Treats offers a plethora of circus-inspired snacks, including cotton candy, caramel corn and apples, chocolate-dipped fruits, cake pops, brownies, and cookies. Restroom: Restrooms convenient to Dumbo the Flying Elephant are situated at Fantasyland’s “Walt Disney World Railroad” station. Dumbo the Flying Elephant is named after and inspired by Disney’s 1940 film Dumbo. From opening day until 2012, Dumbo the Flying Elephant was situated adjacent to Prince Charming Regal Carrousel. As part of the Magic Kingdom’s Fantasyland expansion, the attraction was relocated to the land’s new “Storybook Circus” section, where “Mickey’s Toontown Fair” formerly sat. Dumbo the Flying Elephant features perhaps the most interesting queue at Walt Disney World. When guests who are not utilizing FastPass Plus arrive at the attraction, they are given a pager and allowed to enter an air-conditioned tent. This tent covers an elaborately-themed playground, which features numerous activities for children, including slides, climbing nets, and other elements inspired by Dumbo. Guests utilizing FastPass Plus for Dumbo the Flying Elephant will immediately enter a traditional queue sans a pager. The elephants are attached via arms to an elaborate carrousel. The carrousel includes busts of elephants and storks, and paintings that summarize the movie. Dumbo the Flying Elephant features 32 elephants, 16 apiece on adjacent carrousels, which rotate in opposite directions. Dumbo the Flying Elephant featured 10 elephants on a single structure from opening day until 1993 and 16 elephants on a single structure from 1993 through the 2012 relocation. Each elephant seats two riders. Dumbo the Flying Elephant now features fountains at the base of the carrousels. Though its counterparts at Disneyland Park, Disneyland Park Paris, and Hong Kong Disneyland Park, respectively, had included fountains for years, a similar water feature was untenable at Dumbo’s previous Magic Kingdom location because of the park’s submerged utilidors. Currently, only Tokyo Disneyland’s version of Dumbo the Flying Elephant omits a water feature. A figurine of Timothy Q. Mouse from Dumbo is placed atop the attraction’s entrance. The other versions of Dumbo the Flying Elephant, in contrast, have Timothy standing on top of the respective ride carrousels rather than the entrances. Dumbo the Flying Elephant was originally intended to incorporate ten pink elephants based on the movie’s hallucinatory “Pink Elephants on Parade” segment because, in the interest of maintaining a story, there was only one Dumbo, not ten. Considering the illicit nature of the pink elephants, however, Walt Disney elected to bend the story and just use ten Dumbos. Dumbo the Flying Elephant debuted at Disneyland Park on August 16, 1955, about a month after the park itself. Dumbo the Flying Elephant was intended to open with Disneyland on July 17, 1955, but the heavy weight of the fiberglass elephant vehicles caused technical difficulties. When former-President Harry Truman, a Democrat, visited Disneyland in 1957, he declined to ride Dumbo the Flying Elephant because the elephant is the mascot of the rival Republican Party. 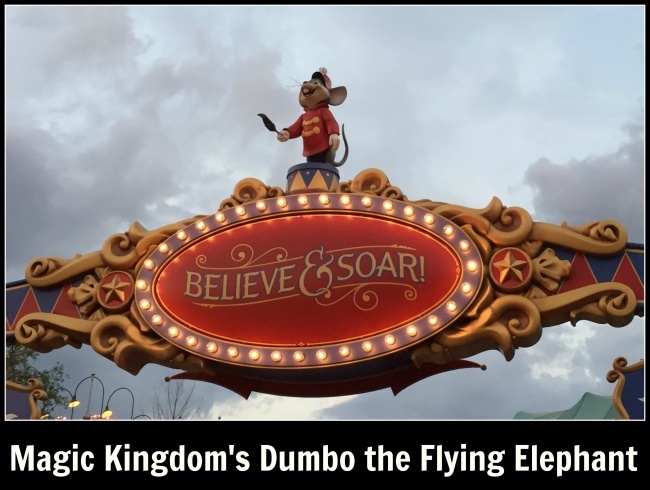 In California, Paris, and Hong Kong, Dumbo the Flying Elephant features 16 elephants. The Tokyo version has only eight elephants. Besides Dumbo the Flying Elephant, two attractions based on Dumbo exist: “Casey Jr, Splash ‘N’ Soak Station” in Storybook Circus and “Casey Jr. Circus Train” at the Disneyland Parks in California and Paris. Consider watching Dumbo before your visit such as to better appreciate the attraction. Since the doubling of the attraction’s capacity, the waits have greatly diminished, so Dumbo the Flying Elephant is not a good use of one’s initial three FastPass Plus reservations. 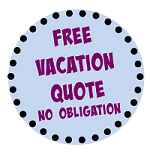 Also consider the presence of the indoor playground queue if you are touring with children. Behold Dumbo the Flying Elephant at night, when lights augment the attraction’s beauty. Control your elephant’s altitude via the handle inside the vehicle. 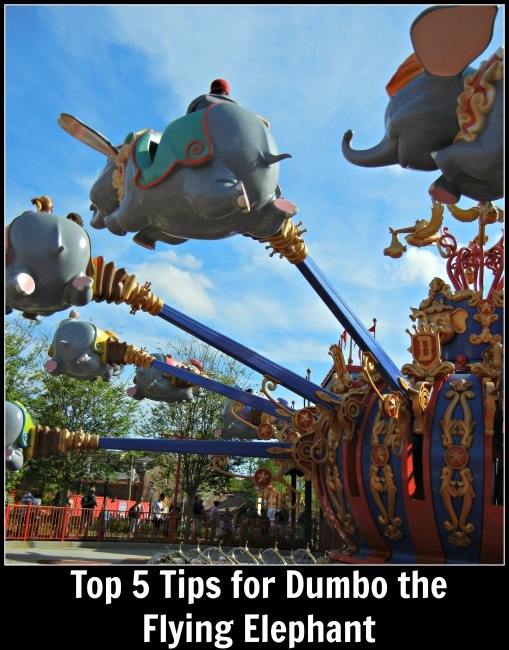 If you enjoy Dumbo the Flying Elephant, consider riding The Magic Carpets of Aladdin, across the Magic Kingdom in Adventureland, and “TriceraTop Spin” at Disney’s Animal Kingdom. 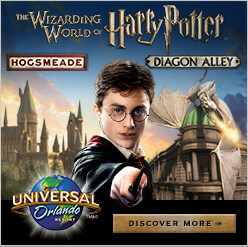 These attractions also involve the orbiting of themed vehicles, magic carpets and dinosaurs, respectively, around a central hub.